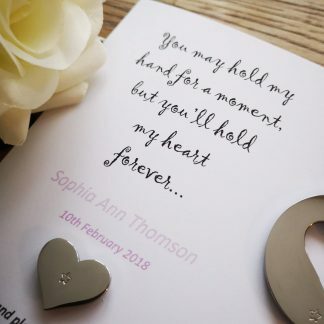 If you are here to say goodbye to your precious baby or child then we are so sorry for your loss. 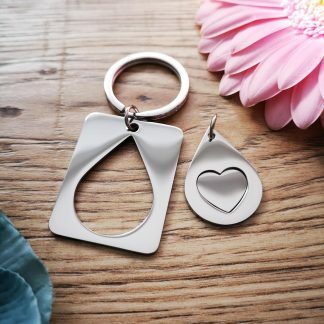 Below is a selection of keyrings with a cut out heart, that are designed as gifts for bereaved parents. 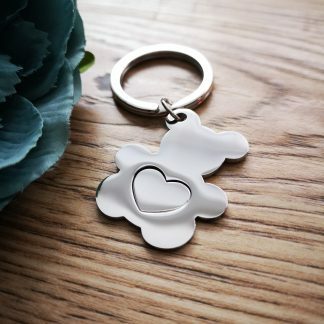 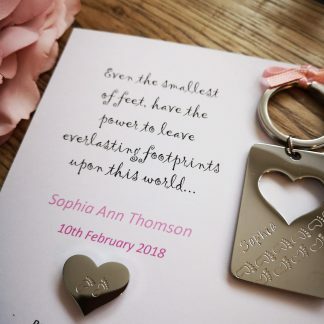 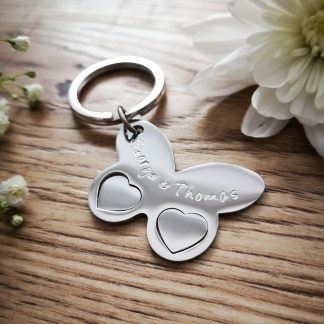 The tiny heart can be placed in the baby’s hand or blanket when saying goodbye and the keyring is a gift to the parents, as a beautiful tangible reminder of the connection shared. 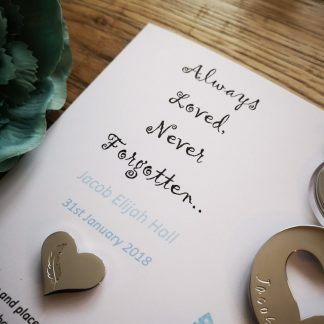 If you have already said goodbye, you can choose the wording to say place the heart in a memory box or special place from the options. 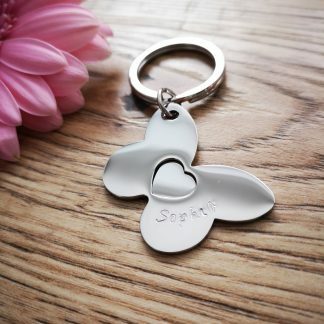 If you feel you need some extra support as you go through this difficult time you can visit our SUPPORT LINKS page here.